Hey folks! Taz here, spinning my way into your heart just like the lovable Looney Tune. 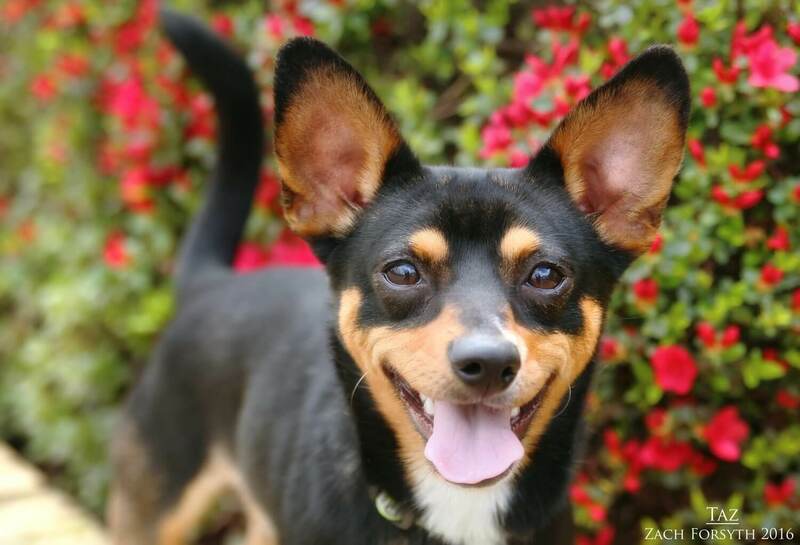 I’m a 1 year old 15 lb terrier mix who is indeed animated, spinning in circles when I get excited. I’m still getting used to life in the big city and would prefer a less busy environment and low-key household with no cats or young kids (10+). I extremely enjoy playing with my new doggy pals in the playgroups at Pixie! Because I am always wanting to play, I tend to bark and get excited on leash when I see other dogs on the street, so I will need some basic training. I’m a sensitive guy, but with patience and a few treats or a squeaker toy, you will get to see my “tuney”, affable, fun personality. Are you skilled in the ways of the terrier? Then fill out an application today, so we can meet and begin learning together! I come to you neutered, vaccinated, and micro-chipped with an adoption fee of $250. Th-th-that’s all folks!